A history written in 1984 at the time of converting the boiler room and choir vestry into the parish rooms. 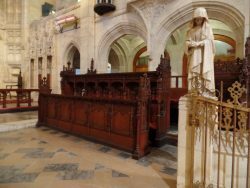 The story of why each carving is where on the choir stalls. Written by the vicar at the time of the church rebuilding in 1896. 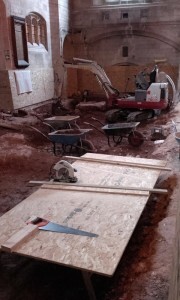 At present, the church building is undergoing a transformation, with much-needed repairs to the west end, and a remodelling of the interior to create a warm, open, welcoming space. St David’s is a listed building, and as such has an entry in the British Listed Buildings, an online database of buildings and structures that are of special architectural and historic interest. As well as reading the official listing data for each building, you can also view the location on a map, and where available see it in Google Streetview and Bing Birds Eye View. There is also a wonderful aerial view of our church and parish on the Britain from Above website. 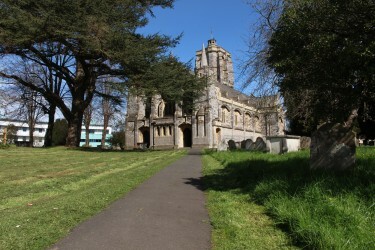 There has been a daughter church of Heavitree at St David’s since the late Anglo Saxon period. A deed of Bishop Henry Marshall from 1194 mentions St David’s Church among others. 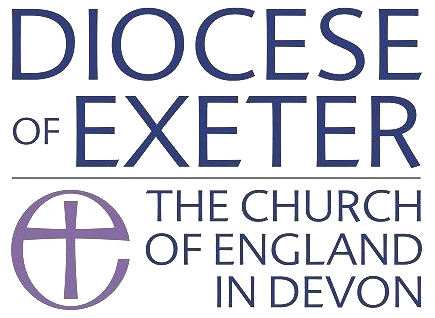 There is more about the history of the church on the Exeter memories website.